This entry was posted on January 4, 2015 by Ryan Curtis. Compared with other aquarium inhabitants, the diet of Freshwater dwarf shrimps is quite different regarding nutrient intake and digestion. In the wild freshwater dwarf shrimp can be found naturally grazing for food all day, everyday. They are very busy workers when it comes to grazing for food, this is why they are considered one of the best tank cleaners out there! Shrimp have a complex digestive system, their food is transported through the intestine by wavelike movements of the bowel muscle. Shrimp are not able to store large amounts of food in their cardiac and pyloric stomachs, thus it is crucial for them to keep eating almost constantly. Freshwater Dwarf Shrimp need to constantly keep feeding and grazing, because their digestive system runs extremely fast. Nutrient intake and digestion, which are so vital for them, can be reduced to an insufficient level or even cease entirely if the shrimp stops feeding even for a short amount of time. It is easy to see when the intestine along their back line is empty, given that most shrimp are at least somewhat transparent in that area, however not all are, and this can sometimes be hard to spot without a trained eye. After gathering the information found above, one would ask, should I feed only from time to time, or should I feed daily? The question is one that most shrimp hobbyist or keepers get wrong. The common thought is to feed shrimp sparingly once, twice, or maybe only three times a week. The idea that shrimp can go weeks without supplemental food is simply not true. Shrimp will always be on the move grazing inside your tank, as that is their natural instinct. Will your shrimp die if not fed daily? No, it will not die if you chose to only feed it once or twice a week, however this is a double edged sword! You are not allowing your shrimp to live to its fullest color, size, or potential. Fish keeping is not shrimp keeping by any means. When you chose to feed your freshwater dwarf shrimp sparingly this can lead to deficiencies, especially when the shrimp have already eaten all of the natural bio-films on the surfaces in the tank. They simply will not thrive in a tank that does not have supplemental food and minerals. That is, however only if not in a planted aquarium. Within a planted aquarium often times there are many microorganisms and bio-films available for the choosing. These microorganisms and bio-films provide your shrimp often times with enough food to truly thrive. 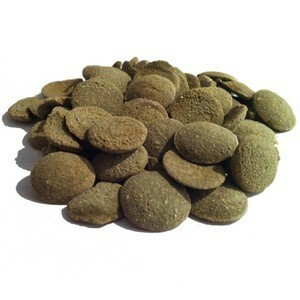 Soft food tabs or pellets are usually eaten very quickly, and thus the shrimps take up a huge amount of food in a very short time. However, the majority of this food is not broken down properly as their digestive system is not adapted to this kind of massive feeding. Their body cannot utilize such a large amount of nutrients, at least not at the pace the food passes through the shrimp's intestine during a mass feeding. 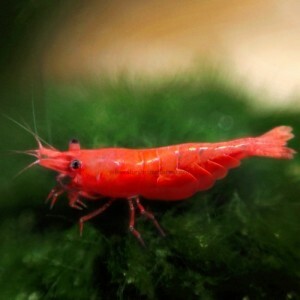 In the worst case, the shrimps do not find enough to eat in their tank, which leaves them hungry until the next time they are fed. This can, in turn, leads to elevated stress levels, which makes them more susceptible to noxious germs and bacterial infections. The appropriate nutrition for shrimps provides them with something to eat not only during feeding time, but practically always. It is important for them to find something to nibble on everywhere in the tank. If you want a happy and healthy shrimp tank then try to feed in smaller daily amounts. CLICK HERE TO STOP SHRIMP WORLD HUNGER!! !